When it came to editing, I had a discussion with Eduardo Escorel and with another editor, Lívia. There was three generations in the edit suite. Lívia was 22, 23 years old, I was 40 something and Escorel was 60 something. And as I mentioned yesterday, this film was edited without any expectations. Not only expectations about the audience, which didn’t even cross my mind, but any expectations that this was going to be a film. It was something made for me, so everything was allowed. We didn’t worry about it being too long or too short, if it’s beautiful and we want to look at it, let’s leave it, because no one is going to judge it. It’s not a rhetoric film and, I know a lot of people say they made a personal project but this was specifically and truly a very personal project. And no one remembered it existed and there was no pretension to transform it into a film. Noe Mendelle: Even the hands get out of frame. 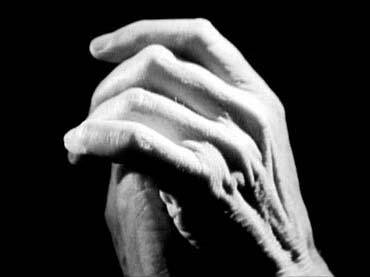 João Salles: And the hands break free from the frame too. And they come back when he and Bach’s music decide to give the hands back to the frame. So, you’re right, I’d never thought about it like that but it’s a moment in which Santiago exercises his freedom, right in front of the tyranny of filmmaking. Noe Mendelle: But you decided to shoot it statically. The frame doesn’t go looking for the hands, it stays put. João Salles: It stays put. Noe Mendelle: And you have, there is some sort of respect for these hands that move out of frame. João Salles: Yes, there is respect in a general sense. Noe Mendelle: Did you get more than one take? João Salles: No, no. Everything in that scene, everything you see it’s all that was filmed. There’s no before or after. If I had more I have the feeling that Lívia would have convinced us to put it in. Now, the rigidness of the shot is something that is present in the whole film. I mean, it was a very pretentious film. The original idea was very pretentious. And what was the original idea? Santiago represents to me memory. That is, a sort of vertical axis, fixed on the ground, without moving, except in my imagination. 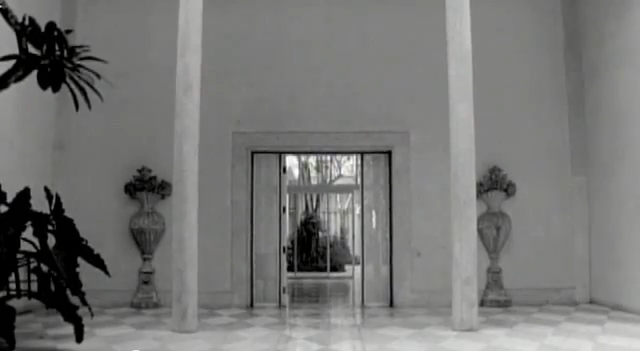 The house, that I filmed empty, was a house that, at that time, for me, only symbolized a place. It didn’t symbolize history anymore, because history had abandoned that house. My family had left it and somehow it lost all its purpose, because times were changing. It was impossible to have such a big house so close to the millennium. This was a house built at the start of the 50’s, when Rio de Janeiro was another city. It was too big a house, too pompous for the ‘90’s. The house was built when Rio de Janeiro was still Brazil’s capital. My dad had been the State Minister and he was Joselino’s colleague. So this house was a centre for Rio de Janeiro’s political life. Now, at the time of filming, Rio de Janeiro wasn’t the capital anymore; it had been taken over by violence. It lost its consciousness, it didn’t know what it was anymore, and it didn’t reinvent itself… so the city lost its centrality. Brasilia was now the capital; São Paulo was the financial capital. Rio de Janeiro was a memory of something that didn’t exist anymore. And that house represented all of that, for me, a drifting place, without history’s courage, as if it had been ditched by history and it was adrift in the sea. Therefore, because it was pure geography without history’s anchor, the scenes in the house are all moving, just like anything that doesn’t have an anchor. Santiago is pure memory, not geography anymore, because Rio was not important to me then, the city didn’t matter anymore, what mattered was the verticality of memory and time. So, everything that happened in Santiago’s house was filmed statically. And all the movement in it is the movement of imagination. In the house, all empty, everything is moving because the imagination has left, it was over. Its purpose is over, its history was over, and the idea was over too, the idea that ended on the cutting room floor… because it was pretentious. That was the idea; that empty place was to be filled by Santiago’s memories. I didn’t have to go anywhere to travel in time. The house was sliding but it couldn’t find rest in reason, or a place where it could feel at ease, anchored or stopped. So that was the big opposition of the film. It’s static when you’re watching Santiago, in constant movement when you’re inside the house.